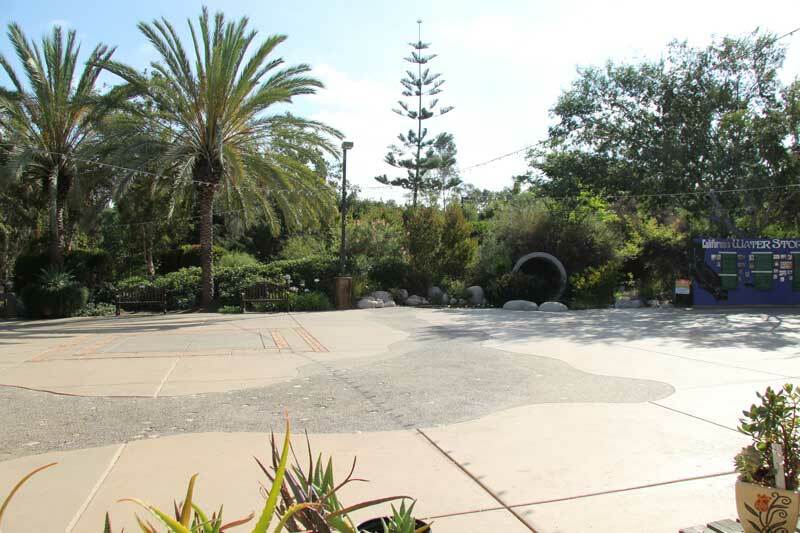 Nearly six acres of beautiful Mediterranean plantings and a variety of venues make the award-winning Water Conservation Garden a memorable site for a wedding ceremony or reception, birthday parties, corporate events and meetings, and a variety of other private events. 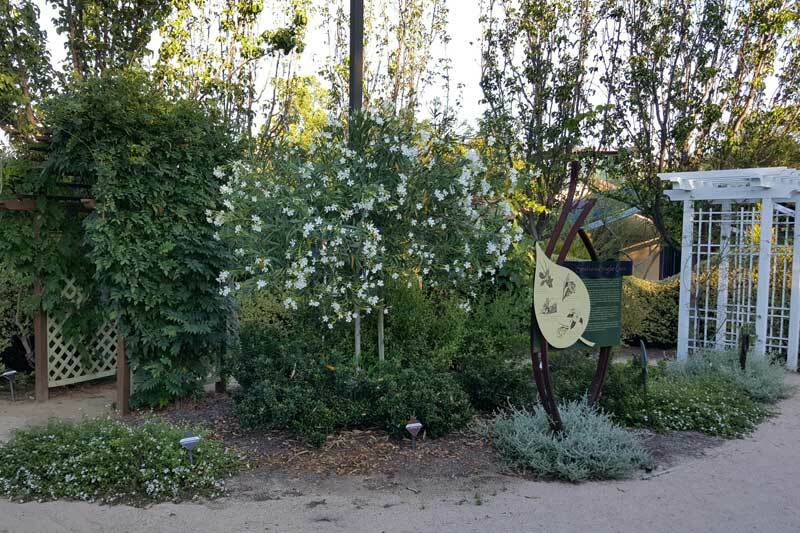 After 4 pm, when the Garden is closed to the public, three distinct venues are available, or the entire Garden may be reserved for larger events. A rental agreement form must be completed when booking The Garden for your event. For more information, please call 619-660-0614 x14 or send an email to angelina@thegarden.org. 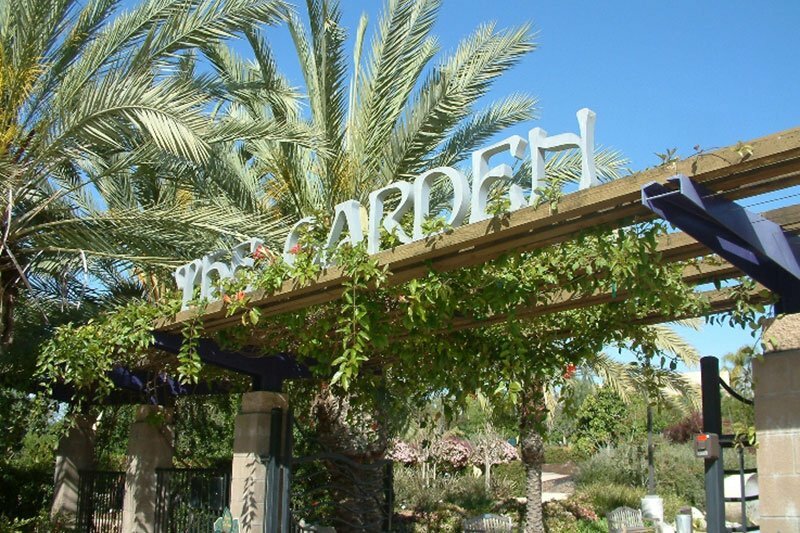 For information about Weddings at The Garden, download our brochure. The Victorian Gazebo opens onto an intimate flagstone paved seating area. This is an ideal location for your intimate ceremony and will accommodate seating for up to 125. An expansive open space capable of seating 250 guests, the plaza features lighted palm trees, market string lights overhead and close proximity to the restroom building. 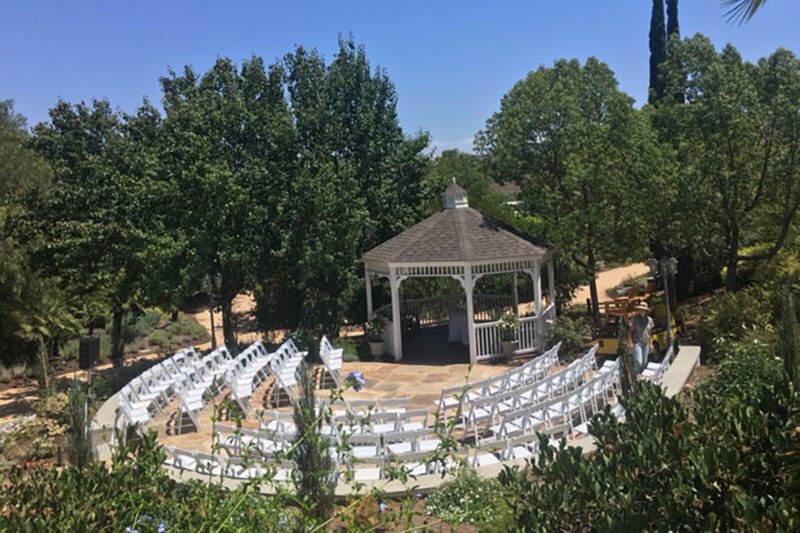 Near the Gazebo, this area is perfect for a pre-ceremony reception. 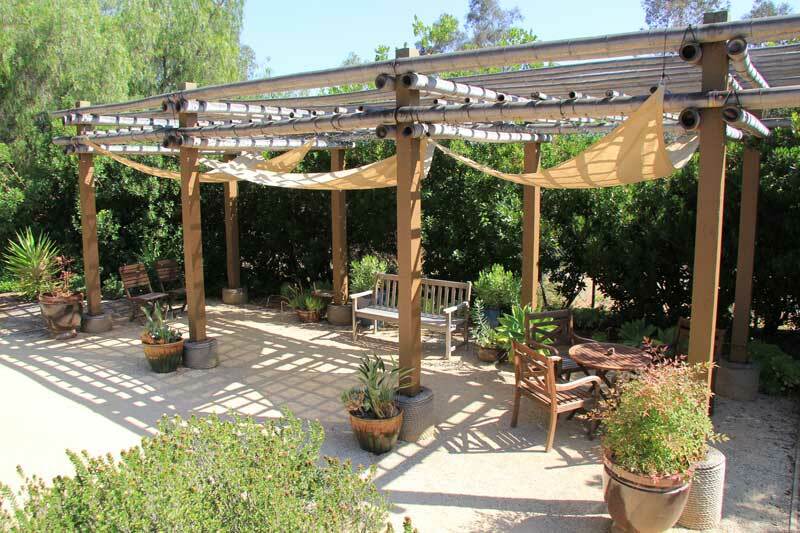 The structure features shade cloth and string lights on the bamboo trellis. A spacious tiled courtyard, surrounded with flowering trees and plants, offers a unique site for receptions. 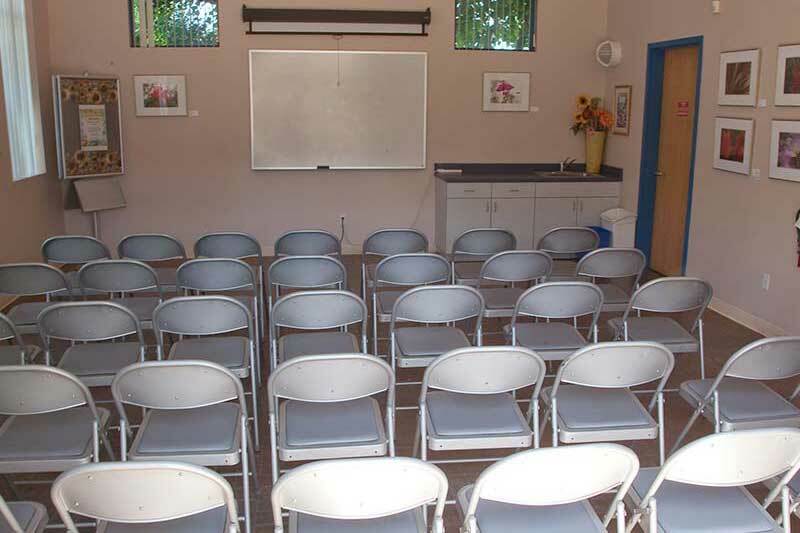 The Multipurpose room is available with all rentals for event preparation. Rental fee includes facility availability for a photo shoot before the event, if scheduled with the Garden. Cascading with lovely wisteria, the arbor in the White Garden makes a romantic and memorable backdrop for wedding and special event photos. 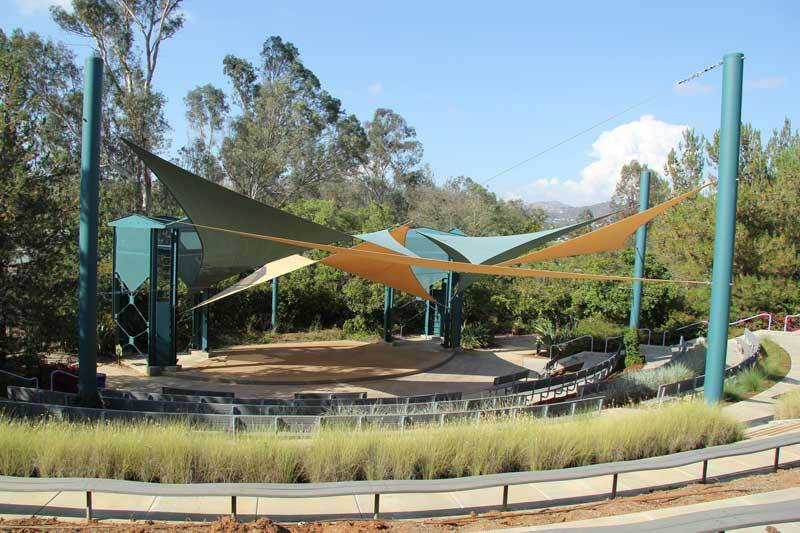 Accommodating up to 350 people, the outdoor amphitheater provides a dramatic site for weddings and larger events. 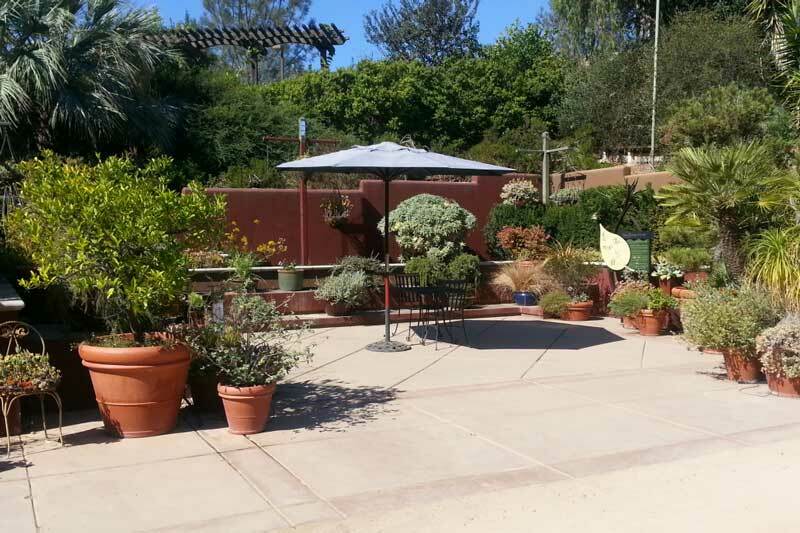 The entire Garden is available for set up at 12 p.m. for evening events. We encourage you to schedule your ceremony after 4 p.m., when the Garden is closed to the public.